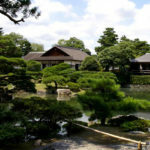 Influential to landscaping the world over, Japanese gardens are simultaneously enigmatic and peaceful. 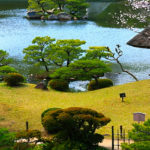 The subtle influence of Zen worked early on imported Chinese landscape design, and resulted in uniquely Japanese gardens. 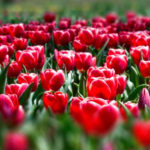 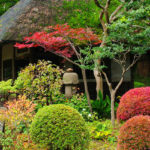 The aesthetic of wabi and sabi, fundamental to all Japanese arts, turns Japanese landscaping towards simple lines and spaces which suggest larger scenes, focusing on the principle of change within nature. 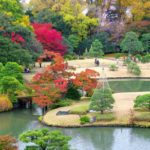 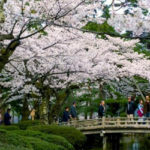 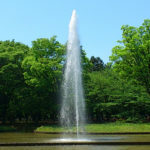 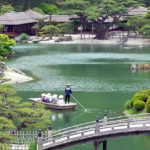 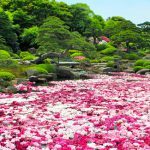 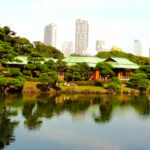 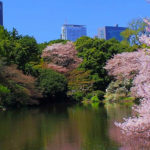 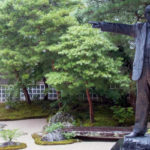 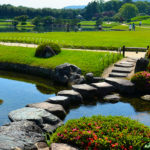 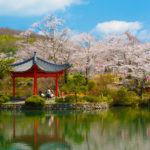 Arguably most renowned for dry landscape, or karesansui Zen gardens, Japanese gardening ranges from tiny and formal chaniwa tea gardens to huge park style gardens with tsukiyama landscaping containing artificial hills and lakes. 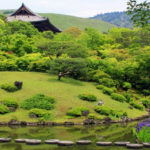 Larger Japanese gardens often have tea houses where the bright green reviving matcha is the perfect excuse to rest your legs.